Whether you're traveling for business or pleasure, Premium Executive Jet Charter service makes it convenient to travel from Atlanta to any where at any time you need our charters service. If you are planning a trip in the United States, Canada, Mexico, the Caribbean or Central America, Find the best Executive Jet Charter fares From Atlanta. For over 15 years our clients have depending on our knowledge and expertise to select the best private jet charter in Atlanta, choosing the right private jet company will ensure you enjoy your travel experience. Whether you're traveling for business or pleasure, we provide a cost effective travel solutions for private charters our priority is to make your travel to and from Atlanta a hassle-free with a real premium service. Fly from Atlanta to anywhere on United States, Canada, Mexico, the Caribbean or Central America. 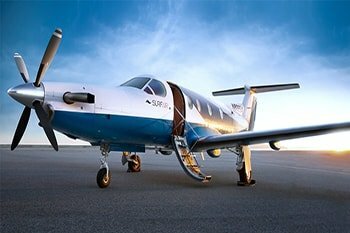 We provide safe, fast, and efficient service with our private jets and turboprops. You can fly direct to the most convenient airport, allowing you to save time by visiting multiple destinations in a single day. Atlanta Private Jet Charters, depending on your destination and personal requirementes, We have the best executive fleet available for your next private flight from Atlanta, remember it´s not just the rate, it´s also the security, how you feel on board, how smooth is your flight, our clients keep flying with us because they find us dedicated to the details that make a private flight truly comfortable. Premium Jets represents the best of private aviation has to offer from private jet charters and private aircraft charter service to VIPS, corporate executives and private individuals. We provide our clients with domestic and international charter flights, each private flight is given the utmost attention to detail by our logistics, customer service, concierge and charter sales departments. Our chartered aircrafts are perfect for your corporate or personal needs. A visit to Mexico is not complete without expereience locations as Cancun, Los Cabos, Ixtapa, Cozumel Cabo San Lucas, Puerto Vallarta, Riviera Maya, Chichen Itza, Let our specialized personal help you plan your next private charter flight from Atlanta in the United States, Mexico, Canada, The Caribbean or Central America, we understand that your time is a precious and limited commodity and our staff will help to get the most of your business or leisure travel . Premium Jets Specialize in private charter flights for corporate and incentive travel, sports teams, personnel transport, music tours, VIP groups, charter programs for tour operators. All private flights are tailored to suite our passengers requirements, from the time you leave to the catering you require on the aircraft. 24-hour operations to facilitate business and leisure charter flights. We offer private aircraft from 19, 32, 72 and 110 passengers. Customer orientated service where safety and quality are of the highest priority.